Over the past three seasons, 210 teams have participated in bowl games. 47 of those teams had losing records in the years immediately preceding their bowl game. This semi-regular piece will showcase the losers from 2013 who just might find themselves participating in Capital One Bowl Week in 2014. Our third team we feature is South Florida. 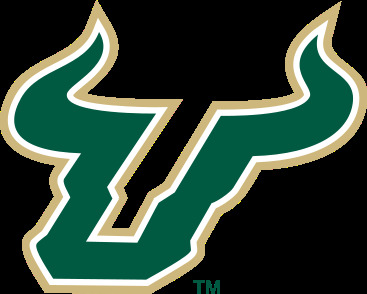 Summary: Under new head coach Willie Taggart, the Bulls began the season rather inauspiciously, losing to IA McNeese State, by 32 points. They followed that up with an expected road loss at Michigan State before coming home and losing by 18 points to 'little brother' Florida Atlantic. In their final non-conference game, Miami beat them by four touchdowns. Just when it looked like the Bulls would struggle to win any games in the American Athletic Conference, the Bulls found less conventional ways to score. They returned a block field goal and a fumble against Cincinnati and held on for a six point win. They returned another fumble for a score the following week against Connecticut in a three point win. After their first two league games, the Bulls stood 2-0 with zero offensive touchdowns. They Bulls proceeded to lose their final six league contests with each coming by at least ten points save for an inexplicable close loss to eventual league champ and Fiesta Bowl winner UCF. What Did the Bulls Do Well? The Bulls were actually quite competent on defense in 2013. Though they allowed over 28 points per game (tied for 74th nationally), this was primarily due to the fact that the offense continually put the defense in unenviable positions with their general ineptitude. Opposing defenses also scored eight touchdowns on returns (five interception and three fumble) against the woeful offense. As a point of reference, the offense managed just eleven touchdowns of their own all season. In terms of yards allowed per game, the Bulls ranked 21st nationally, permitting an average of 351 per contest. I don't think they were quite that good, but they did rank a respectable fifth in the American in both yards allowed per play and touchdowns allowed. What Didn't the Bulls Do Well? It has been said many times, in many ways, but I'll say it again, the Bulls were terrible at all facets of offense. The Bulls scored just eleven offensive touchdowns in twelve games (with three coming in the first game against McNeese State). That means they managed just offensive eight touchdowns in their last eleven games. The eleven offensive touchdowns they managed is the lowest by any IA team since at least 2006. The Bulls accrued just 154 first downs in 2013, the lowest in the nation. If you ever want to see a clinic on how not to play offensive football, look no further than the 2013 Bulls. The following table lists South Florida's performance (in conference play only) in a few key categories and their respective conference rank in those categories. To help you read the table here is a handy translator. Conf: The Conference South Florida played in. With the ever-changing college football landscape, this is helpful. YPP: Yards per play. The number of yards per play the Bulls averaged in conference play. YPA: Yards per play allowed. The number of yards per play the Bulls allowed in conference play. In 2010, South Florida, reeling from the player abuse scandal under former coach Jim Leavitt, hired an established mid-major coach, Skip Holtz, to lead their program. After a 3-3 start, the Bulls won five of their final seven games, including a bowl upset over Clemson and appeared to be headed for if not great, at least good things under the younger Holtz. The Bulls did lose three players from that team in the 2011 NFL Draft, but opened the 2011 season 4-0. Included in the early season highlights, was a win at Notre Dame Stadium. However, after the 4-0 start, the fates conspired against the Bulls. They won just once the rest of the season, with five of the losses coming by six points or fewer, and four coming by exactly three points. Despite improved statistical numbers, the Bulls caught no breaks and finished with their first losing season since 2004 and just the second in the school's short history. All indicators pointed toward 2012 being a bounce-back year, but the Bulls regressed again losing nine of their final ten games after a 2-0 start. Skip Holtz was canned and Willie Taggart was brought in to lead the Bulls back to respectability. Unfortunately for Taggart, quarterback B.J. Daniels, who played for what seemed like three presidential cycles, exhausted his eligibility, and no competent quarterbacks emerged. The offense endured one of the worst seasons in recent memory, and well, here we stand with South Florida coming off three consecutive losing seasons and sporting a 6-26 mark since opening 2011 4-0. While we do not yet know the eight opponents South Florida will face from the American, we do know the identity of their four non-conference foes. South Florida opens the season at home against Western Carolina. While the Bulls did lose in grisly fashion to McNeese State last season, Western Carolina is a bad IAA team, finishing 2-10 last year and not winning more than three games in any season since 2005. A win here is all but assured. The Bulls also host Maryland and NC State in non-conference action. Maryland qualified for a bowl game last season, but is hardly an elite program. Meanwhile, NC State went winless in the ACC last year. The Bulls should be competitive in both contests and a sweep would not be out of the question. Their final non-conference game is a trip to Madison to face the Badgers of Wisconsin. This one will be infinitely more difficult to win. Realistically, South Florida fans should expect nothing worse than a split of their non-conference games, and a 3-1 mark should not raise many eyebrows. With at least two wins banked, the Bulls would just need to break even in the American to qualify for a bowl, a task that is not impossible considering the American is more like Conference USA's big brother. Willie Taggart and regression (progression) to the mean. There is no denying South Florida has a long way to go, particularly on offense, to return to the postseason. However, Taggart has already engineered one gigantic turnaround in his career. In his first season at Western Kentucky, the Hilltoppers were IA neophytes with a very bad offense. The Hilltoppers ranked last in the Sun Belt in yards per play (though they were a more respectable sixth in touchdowns). In Taggart's second season, the Hilltoppers moved all the way up to third in the Sun Belt in yards per play and second in touchdowns. The team went 7-1 in the league and were bowl eligible for the first time (though they were snubbed in the postseason). Last season South Florida was historically bad on offense, at least in regards to scoring touchdowns. They struggled to move the ball, but realistically could have been expected to score three or four more touchdowns in 2013. Like historically great performances, historically poor performances are hard to repeat. Thankfully, for teams like South Florida, regression pulls both ways. Even with minimal offensive improvement, the Bulls can expect to score between twice and three times as many touchdowns in 2014. Believe it or not, the pieces are in place for a return to the postseason for South Florida. The Bulls experienced a lot of growing pains in Willie Taggart's fist season, but he has far more resources at his disposal than at his previous stop at Western Kentucky. The offense simply cannot be as bad as it was last season, opposing defenses cannot score as many times off of returns, and the conference itself gets a little bit weaker. I wouldn't place a large sum of money on South Florida winning the American in 2014, but a return to respectability seems likely. Over the past three seasons, 210 teams have participated in bowl games. 47 of those teams had losing records in the years immediately preceding their bowl game. This semi-regular piece will showcase the losers from 2013 who just might find themselves participating in Capital One Bowl Week in 2014. 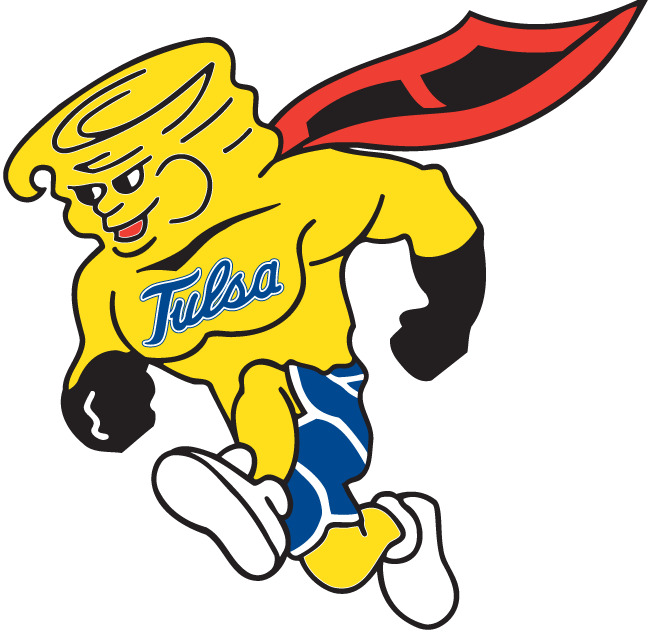 Our second team we evaluate will be the Tulsa Golden Hurricane. Summary: Coming off a Conference USA title and a school record eleven wins, Tulsa was the preseason favorite in the western division of Conference USA. The Golden Hurricane opened with a blowout loss at eventual MAC-champ Bowling Green. They rebounded the following weekend and gave what was in hindsight, likely their best performance of the year in a 30-27 win over eventual bowl winner Colorado State. After an expected loss at Oklahoma, Tulsa lost at home by 17 points to an Iowa State team that finished just 3-9. Beginning conference play with all their goals still firmly in front of them, Tulsa lost a close home game to Rice before beating UTEP to move to 1-1 in league play. Tulsa would win just a single game the rest of the way, with only one of their defeats coming by fewer than eleven points. Their three wins marked the fewest for the program since they finished 1-11 in 2002. What Did the Golden Hurricane Do Well? Tulsa did not do a whole lot well in 2013, but we'll go with 'win on the road'. At least as compared to how they performed at home. Since joining Conference USA in 2005, through the 2012 season, Tulsa was a sterling 26-6 versus conference foes at home. Only three of their six losses came by double digits. In 2013, they finished 0-4 at home against conference foes, and three of their four losses came by double digits. Tulsa did win half of their road games however, beating both UTEP and Louisiana Tech away from the friendly confines. Still, compared to their 21-11 conference road record from 2005-2012, this was a far cry from their usual performance. What Didn't the Golden Hurricane Do Well? As mentioned earlier, the Golden Hurricane didn't do a lot well, but we'll give the nod to the defense, which imploded late in the season. The Golden Hurricane allowed 30 points or more eight times in 2013, including four times in their final five games. Teams particularly enjoyed gashing the Golden Hurricane on the ground where opponents averaged 200 yards per game (97th nationally) and 4.62 yards per rush (88th nationally). That marked the first time Tulsa allowed more than four yards per rush since 2007. The following table lists Tulsa's performance (in conference play only) in a few key categories and their respective conference rank in those categories. To help you read the table here is a handy translator. Conf: The Conference Tulsa played in. With the ever-changing college football landscape, this is helpful. YPP: Yards per play. The number of yards per play the Golden Hurricane averaged in conference play. YPA: Yards per play allowed. The number of yards per play the Golden Hurricane allowed in conference play. Among mid-major programs Tulsa has probably done the most with the least over the past four seasons. From 2010 through 2012, the Golden Hurricane went 20-4 in Conference USA, 29-11 overall, and won the league title in 2012. The Golden Hurricane accomplished all this with only one player from those three teams being drafted. For the curious, it was tight end Charles Clay who was picked in the sixth round of the 2011 draft. The nomad Todd Graham coached the Hurricanes in 2010 before giving way to former high school coach Bill Blankenship in 2011. Graham's 2010 team won games with a powerful offense led by quarterback G.J. Kinne. Kinne returned for his senior campaign in 2011, and with an improved defense, the Golden Hurricane entered the final week of the regular season unbeaten in league play. If not for an unusually strong Conference USA (Southern Miss and Houston finished the 2011 season in the top 20 of the AP Poll), Tulsa may well have won two league titles in a row. Sans Kinne in 2012, the offense shifted even more to a run-based attack behind Trey Watts (son of Oklahoma legend J.C. Watts), Ja'Terian Douglas, and Alex Singleton who combined to rush for 34 touchdowns in their championship year. Nebraska transfer Cody Green was limited as a passer, especially compared to Kinne, but he did account for 21 total touchdowns himself. With Watts, Douglas, and Green returning in 2013, the offense seemed destined to stay near the top of Conference USA. However, the loss of three starters on the line limited the running game and Green regressed as passer. When Green was injured midway through the season, redshirt freshman Dane Evans replaced him and proceeded to complete just 43% of his passes while throwing ten interceptions and averaging under five yards per pass attempt. As the offense struggled, the defense also faltered. While the Golden Hurricane did not lose any NFL caliber talent from the 2012 team, they did lose eight starters from the best defensive unit in Conference USA, including their four leading sack generators (30 and half combined from the four in question in 2012) from a defense that netted 51 total sacks. The net result was a lost season for Tulsa and a question as to whether 2013 was a one-year blip on the radar (like 2009 was for Graham) or a sign of things to come. Tulsa moves to the American Athletic Conference in 2014, which represents a slight step up in competition from Conference USA, but will never be confused with the SEC West. Their league schedule has not yet been formulated, but we do know the four teams they will face outside the conference. The Golden Hurricane travel to Colorado State and Florida Atlantic. The Rams from Colorado State appear to be on the upswing, and they nearly beat Tulsa last season, so a road win in Fort Collins seems unlikely. Florida Atlantic was a solid 6-6 last season despite losing their coach to a drug scandal. The Owls were much better than their record, losing three conference games by a touchdown or less, and will represent a real challenge for Tulsa particularly at home. In other non-conference action, Tulsa hosts in-state foe Oklahoma and IA neophyte Texas State. Facing Oklahoma, even at home is a longshot. Texas State went 6-6 last season, but was not as good as their record and Tulsa should be expected to win at home. Realistically, a split in non-conference play is probably the best Tulsa can hope for in 2014, with a 1-3 mark a distinct possibility. A recent track record and youth. Prior to their disappointing 2013 campaign, Tulsa went to bowl games in seven of eight seasons from 2005 through 2012. That's one of the best runs for any mid-major over that span. Secondly, while the Golden Hurricane were not particularly good on defense in 2013, they were pretty young. Of their top ten tacklers, only three were seniors and four were either freshmen or sophomores. Even incremental improvement could move the Golden Hurricane to the middle of the pack in their new conference. 2014 will serve as a referendum for the Bill Blankenship era at Tulsa. If the Golden Hurricane endure another losing season, he will likely be coaching for his job in 2015. However, if he returns the Golden Hurricane to the postseason, 2013 will likely be seen as an aberration. Keep in mind that while Tulsa has been a strong mid-major for a decade, winning at one of the smallest IA schools is no easy task. The Golden Hurricane endured eleven consecutive losing seasons before Steve Kragthorpe revitalized the program in 2003. Here's another facet to consider. From 2005 through 2012, 20 mid-major teams saw their conference record drop by at least four games from one season to the next (remember Tulsa finished five games worse in league play in 2013 than they did in 2012). Of those 20 teams, 16 improved their league record by at least one game the following season. Ten saw their league record improve by at least two games, and no team saw their conference record get worse. On average, the teams improved by 1.95 games in the conference standings the next season with the biggest improvements coming from Memphis in 2007 and Middle Tennessee State in 2012 (five games). Improvement by Tulsa is a given in 2014, but will they improve enough to get to a bowl game? Based on their non-conference slate, the Golden Hurricane need to finish at least 4-4 or possibly 5-3 in the American to be bowl eligible. I think they will finish on the cusp of postseason play with either five, six, seven regular season wins. Over the past three seasons, 210 teams have participated in bowl games. 47 of those teams had losing records in the years immediately preceding their bowl game. This semi-regular piece will showcase the losers from 2013 who just might find themselves participating in Capital One Bowl Week in 2014. We'll begin our sojourn with Temple, a team from the American Athletic Conference. 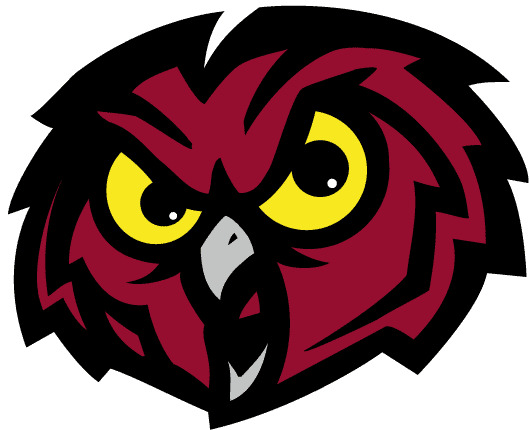 Summary: The Owls won just two games in 2013, losing their first six games under new coach Matt Rhule. Three of their ten losses came to teams that finished the season ranked in the AP Poll (Notre Dame, Louisville, and UCF). However, they also lost to Idaho (the Vandals lone win on the season) and Fordham (IAA playoff team, but a IAA team nonetheless). What Did the Owls Do Well? Throw the football. Collectively, the Owls ranked just 60th in yards per pass attempt averaging 7.2 yards per throw. However, freshman quarterback P.J. Walker averaged 8.2 yards per throw on the year. Walker did not see much action in the first four games, netting just three pass attempts, but he became the full-time start over the final two thirds of the season and shined. What Didn't the Owls Do Well? Finish and play defense. Temple finished 0-5 in games decided by one score. In four of those games, the Owls held a lead at some point during the fourth quarter. Against Fordham, they led by six in the fourth, but the Rams scored a touchdown with four seconds left to even the games, and won on the ensuing extra point. Against Rutgers, the Owls led by four in the fourth, but allowed Rutgers to convert a fourth and ten play into a touchdown with 35 second left. Against eventual Fiesta Bowl winner UCF, the Owls led by seven in the fourth, but the Knights evened the game with just over a minute left and kicked a game-winning field goal as time expired. Against Connecticut, the Owls led 21-0 at the half, but did not score again for the rest of the game in a seven point defeat. While the final score was not close, the Owls also blew a 21-point first half and 14-point halftime lead in a double-digit defeat against SMU. The Owls lost these big leads primarily because their defense was horrendous. Opponents averaged nearly 30 points per game against the Owls and a robust 6.40 yards per play (101st nationally). The following table lists Temple's performance (in conference play only) in a few key categories and their respective conference rank in those categories. To help you read the table here is a handy translator. Conf: The Conference Temple played in. With the ever-changing college football landscape, this is helpful. YPP: Yards per play. The number of yards per play the Owls averaged in conference play. YPA: Yards per play allowed. The number of yards per play the Owls allowed in conference play. In 2010 and 2011, the Temple Owls were a legitimately strong mid-major team, particularly on defense. In particular, the 2010 team featured four future NFL players on defense, including first round draft pick Muhammad Wilkerson. In the 2011 and 2012 NFL drafts, the Owls had five players selected. Losing all that talent caused a tremendous drop off in Steve Addazio's second season. Perhaps seeing the writing on the wall, Addazio left after 2012 to become coach of Boston College. Into that tough situation stepped Matt Rhule, a young coach who got in on the ground floor when Al Golden began rebuilding the Temple program in 2006. After overachieving in 2012 based on their peripheral numbers, the Owls underachieved last season, finishing more than two and a half games below where one would have expected based on their touchdowns scored and allowed. The ins and out of their conference schedule are not fully known yet, but we do know who the Owls will flap against in non-conference action. The Owls travel to Vanderbilt and Penn State in their James Franklin tour, and host Navy and Delaware State (IAA). Realistically, the Owls can expect to beat Delaware State and compete with Navy. Their road trips to Nashville and State College will more than likely result in losses. In conference play, the American will lose both Louisville and Rutgers while adding East Carolina, Tulane, and Tulsa. The American is a mid-major conference without an easily identifiable overlord, meaning their are no definitive losses on the schedule for the Owls. However, there is also no punching bag guaranteed to give the Owls a victory. All in all, the American will probably be a little weaker than last season with the exodus of Louisville and the attrition at reigning champ Central Florida. P.J. Walker and a little bit of luck. Walker's twenty passing touchdowns (in just eight plus games) marked the most by a Temple quarterback since Henry Burris threw 21 in 1994! In fact, as a team, the Owls threw just 21 touchdown passes in 2011 and 2012 combined. I've already harped on the Owls struggles in close games and their poor record in relation to their APR. Some regression in clutch situations could add a few wins to their ledger in 2014. Since teams began playing twelve games in 2006, 45 have finished the regular season with a 2-10 record. Fourteen of those teams have been bowl eligible the next season (every eligible team did not participate in a bowl). That's over 30%! For mid-majors, the results are a little more bearish, as seven of 31 (23%) have been bowl eligible the next season. No, the 2014 Temple team will not have a parade thrown in their honor, but I think their bowl odds are a little higher than one in three. The past two weeks have flown by. Unfortunately, there are only five more games left in this college football season. Enjoy them while you can, August is a long way away. The Clemson Tigers return to the scene of one of their most infamous and grisly defeats on Friday night. This is an interesting time for Clemson football, as the Tigers have won at least ten games in each of the past three seasons, hoisted the ACC crown two years ago, and will finish in the top-25 for the fourth time in five full seasons under Dabo Swinney. However, they have also lost five consecutive games to in-state rival South Carolina and appear to have ceded control of the Atlantic Division to an old power. While they were clearly inferior to Florida State, Clemson was also clearly the second best team in the ACC in 2013. Behind senior quarterback Tajh Boyd, the receiving acumen of Sammy Watkins, and a fast paced offense, the Tigers ranked third in the ACC in yards per play. The defense also played well, ranking fourth in the conference in yards per play allowed. Outside of the Seminoles, Clemson won each of their conference games by ten points, and if not for a turnover implosion against South Carolina, may have beaten the Gamecocks in Columbia. The Tigers will face an Ohio State team also coming off a disappointing loss. With the national championship in their sights, the Buckeyes stumbled against an elite Michigan State team in the Big 10 Championship Game. The loss broke a 24-game winning streak for the Buckeyes and was their first under Urban Meyer. In the regular season, Ohio State was nigh unstoppable on offense, ranking first in the Big 10 by averaging a ridiculous 7.55 yards per play! Quarterback Braxton Miller and running back Carlos Hyde both rushed for over 1000 yards and collectively the team averaged over seven yards per carry. Defensively, the Buckeyes were not quite as strong, ranking fifth in the Big 10 in yards per play allowed. However, they were adept at making plays in the backfield, garnering 40 sacks and 89 tackles for loss. Those numbers ranked sixth and 26th respectively in the nation. Methinks this will be a pretty high-scoring affair, and if Ohio State is motivated, they should win rather easily here. These former conference mates (first in the Big 8 and later in the Big 12) face each other for the first time since 2011, when Oklahoma State beat Missouri by three touchdowns on their homefield. Both schools enter this game off losses that cost them shots at BCS bowl. For Missouri, the loss was particularly galling, as it potentially cost them a shot at the national title. Until they were eviscerated by Auburn's running game, the Tigers held up reasonably well on the defensive side of the ball in SEC play, ranking second in yards allowed per play. Defensive end Michael Sam was a mainstay in opposing backfields, racking up ten and a half sacks and eighteen tackles for loss. The Tigers also ranked a respectable fourth in the conference in yards per play. Quarterback James Franklin and his backup Maty Mauk both averaged 8.1 yards per throw, though they went about accumulating those numbers very differently. Franklin completed nearly two thirds of his passes, while Mauk was a more boom or bust passer, registering a completion rate of just 51.2%. The Tigers will look to lasso the Cowboys for the first time since 2005, Mike Gundy's first year at the school. The Cowboys won at least ten games for the third time in the past four seasons, but their last second loss to archrival Oklahoma not only denied them a Big 12 title, but also dropped them out of the BCS bowl picture altogether. The Cowboys were not as explosive on offense as they have been in the past, although they still ranked third in the Big 12 in yards per play. The real story was their defense which finished first in the Big 12 in yards per play allowed. The Cowboys don't have a fearsome pass rush, generating just 22 sacks all season (tied for 79th nationally), but they limit the big plays and force turnovers (30 on the season which ranks seventh nationally). This should be a very competitive game, and there does not appear to be a great deal of value on either side of the line. Sit back and enjoy this one, but don't make any plays. To say James Franklin has been a little bit successful at Vanderbilt is a massive understatement. The Commodores, a perennial cellar dweller have qualified for three consecutive bowl, and this season beat their former east bullies Georgia, Florida, and Tennessee with the last two coming on the homefields of the Gators and Vols respectively. The Tennessee win had to be extra special, as it kept the Volunteers out of a bowl game for the third straight season. Despite the presence of Jordan Matthews, an NFL ready wide receiver, Vandy ranked just twelfth in the SEC in yards per play. The real strength of this team was the defense which ranked an impressive fourth in the SEC in yards per play allowed. The defense also forced 27 turnovers, a number that ranked 21st in the nation. The Commodores will face a Houston team that was also quite adept at forcing turnovers. The Cougars rebounded from a losing season by forcing a national best 40 turnovers for an insane turnover margin of +25. Overall, the defense ranked second in the American Athletic Conference in yards per play allowed. Offensively, Houston turned the reigns to freshman quarterback John O'Korn. O'Korn threw 26 touchdown passes on the year and completed nearly 60% of his throws. However, the Cougars finished a rather pedestrian sixth in the American in yards per play. The team was not able to run the ball effectively, particularly late in the year when they managed just 3.16 yards per carry over their final five games. While Houston was powered by an unsustainable turnover margin, they were also a little unlucky in 2013, losing four games by seven points or less. Houston should be sufficiently motivated in this matchup against the SEC. Vanderbilt is a quality team, but this spread should be closer to a pick em. Place a small wager on Houston on the moneyline. The Cardinals from Ball State represent the MAC's last chance to nab a bowl win in 2013. Buffalo, Ohio, Bowling Green, and Northern Illinois all lost their respective bowl games. For Ball State, the period between their regular season finale against Miami of Ohio and their bowl clash with the Red Wolves had to have been filled with trepidation. Yet, the Cardinals did not lose their outstanding coach Pete Lembo to a higher profile gig. The Cardinals have improved their win total each season under Lembo, and now will look to win their first ever bowl game in school history. The Cardinals are led by their high-powered offense which ranked third in the MAC in yards per play. Senior quarterback Keith Wenning threw 34 touchdown passes against just six interceptions. Two of his receivers, Willie Snead and Jordan Williams, gained over 1000 yards through the air, and with a great performance in the bowl, senior wideout Jamill Smith could join them (currently has 855 yards). The offensive line did a great job protecting Wenning as well, allowing just fourteen sacks on the year despite averaging nearly 40 pass attempts per game. The Cardinals will take on an Arkansas State team playing in their third consecutive Go Daddy Bowl. Unfortunately for the Red Wolves, their success has cost them yet another head coach. In 2011, Arkansas State played in just their second ever bowl under head coach Hugh Freeze. He left for the Ole Miss job. Last season, Gus Malzahn took the Red Wolves back to the postseason and he parlayed that into the Auburn job. This season, Bryan Harsin returned the Red Wolves to the postseason, and he is now the head coach at Boise State. John Thompson, the team's defensive coordinator will serve as the interim head coach in this game. While the Red Wolves won at least a share of their third consecutive Sun Belt title, they were hardly the imposing force they were under Freeze and Malzahn. In 2011, the Red Wolves finished 8-0 in the league and won five of their league games by double-digits. Last season, they went 7-1 in the Sun Belt, and won five by double-digits. This season, in a weaker Sun Belt, they went 5-2, but only two of their wins came by double-digits. In fact, on the year, Arkansas State was actually outperformed on a per-play basis by their conference mates. They ranked just seventh in the eight team league in yards per play and fifth in yards per play allowed. With the coaching upheaval and the pedestrian per play numbers they put up, its hard to see the Red Wolves winning here. Ball State should get their first bowl win and cover this number. The final BCS National Championship game features the team that played in the first three (though they were still Fiesta, Sugar, and Orange bowls respectively at that time). In Jimbo Fisher's fourth season, Florida State ran roughshod over the ACC, winning every game by at least fourteen points, holding seven opponents to one offensive touchdown or less, and dominating the yards per play metric. The Seminoles ranked first in the ACC in yards per play behind the eventual Heisman winner Jameis Winston. Winston averaged an absurd 10.9 yards per pass (first in the nation) and also rushed for nearly 200 yards. Defensively, the Seminoles were also top notch, ranking first in the ACC in yards per play allowed. Only Boston College and Pittsburgh averaged more than five yards per play against the Seminoles, meaning no team reached that threshold since late September. The Seminoles will face a Cinderella opponent in the title game (as much as an SEC team can be called a Cinderella). Auburn has enjoyed a rather up and down past few seasons, winning the national title behind Cam Newton in 2010, regressing yet still winning a bowl in 2011, and crashing hard last season. They canned Gene Chizik and hired the mastermind behind their 2010 success, Gus Malzahn. The Tigers coalesced on offense as the season progressed, won all the close ones, and enjoyed a few sublime plays to qualify for the SEC Championship Game where they shredded a fine Missouri team. For the year, Auburn ranked just fifth in the SEC in yards per play, but they have improved as of late. In their first three SEC games, the Tigers averaged 5.78 yards per play. Over their final five conference games, the Tigers have averaged 6.87 yards per play. Then in the title game against Missouri, they averaged nearly eight yards per play. Auburn will need to score a great deal against the Seminoles because their defense ranked eleventh in the SEC in yards per play allowed, and it did not show substantial improvement as the year progressed (the Tigers allowed over seven yards per play to Georgia, Alabama, and Missouri in their final three games versus SEC foes). Stranger things have happened in title games (Florida's seismic of Ohio State in 2006 springs to mind), but nothing Auburn has done all year indicates they will be able to stop the Seminole offense. Florida State won't shut Auburn down either, but they should should get enough stops to cover this number.